Long days, big umbrellas, and easy summer living is almost here! 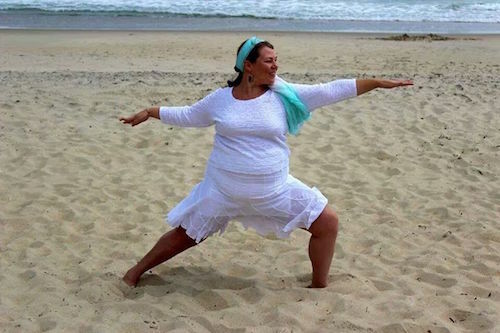 And whether you're excited for Mai Tai's on the beach or just some refreshing vitamin D after a long winter, there's one thing that goes perfect with a sunny beach setting: YOGA! Here are some of our favorite photos from the DoYouYoga Community which will get your revved up for your summertime practice. 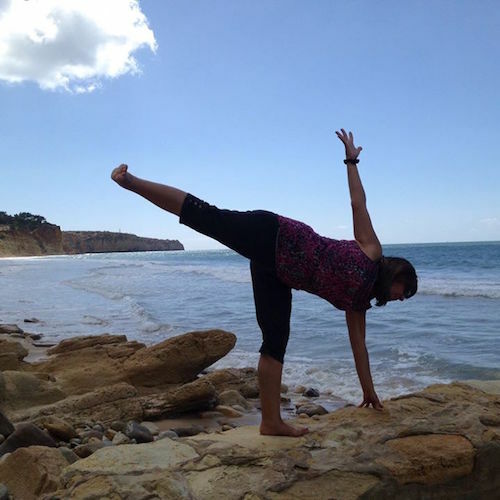 Thanks to all the beach yogis for sharing their wonderful photos. If you love them or see one of your own, leave a holler in the comments below! 1. 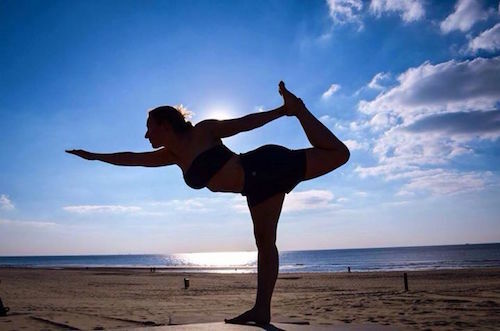 Be inspired by this blue sky and powerful pose by Maria Goddijn! 2. 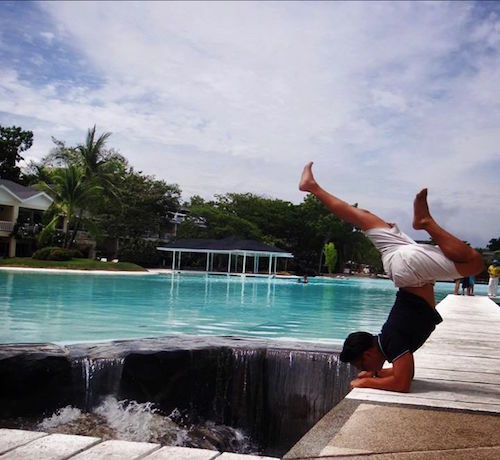 Li Shun Wu does a little warmup before surfing in Cebu, Philippines. Or was surfing a warmup for this? 3. 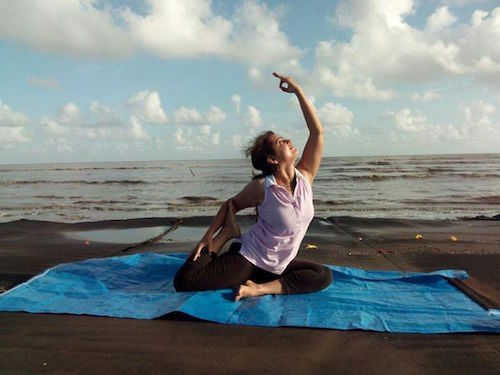 The beauty of Renu Batra's pose matches the lovely painted sky to which she gazes. 5. The beach is a great place to balance. Michael Charles thinks so too! 6. ...while Mara D'Souza shows us her awesome Warrior III. 7. It's a bird! It's a plane! 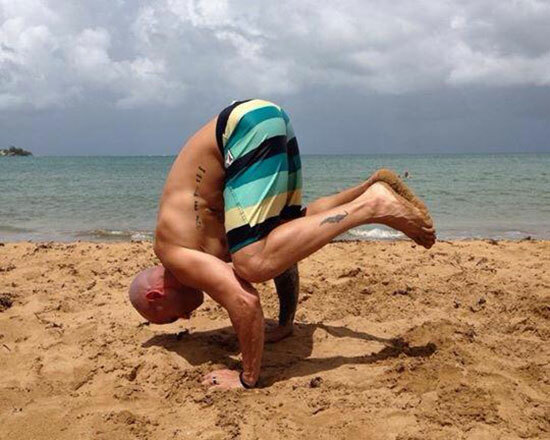 No, it's Rauly Marko's awesome Crow Pose! 8. 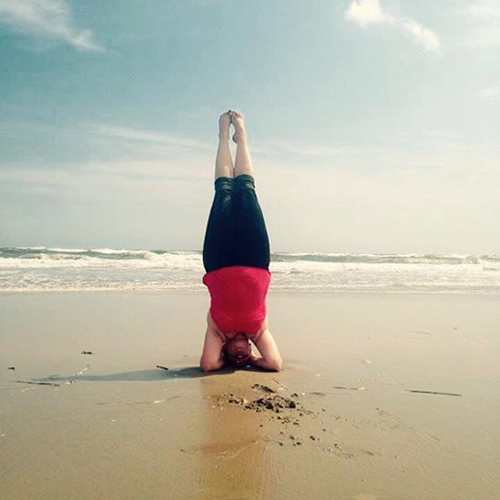 Emmy Ore gets her summer started with Head Stands on the beach. 9. If you thought it was hard to balance on a flat yoga mat, just try on these rocks! But it's no problem for Zelia Gaspar! 10. 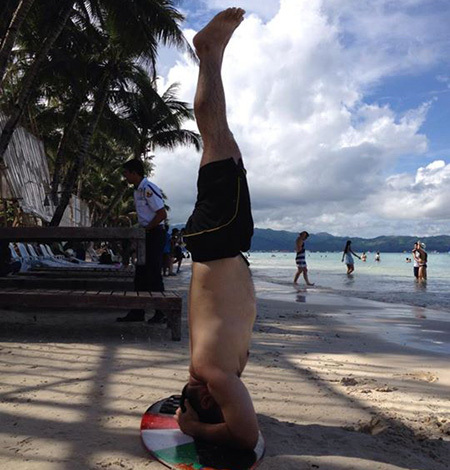 Ted Anthony Tarona is living on the edge with this summer yoga pose. 11. What better place to do a Wild Thing than on the beaches of France! Go Jesa Jesa! 12. 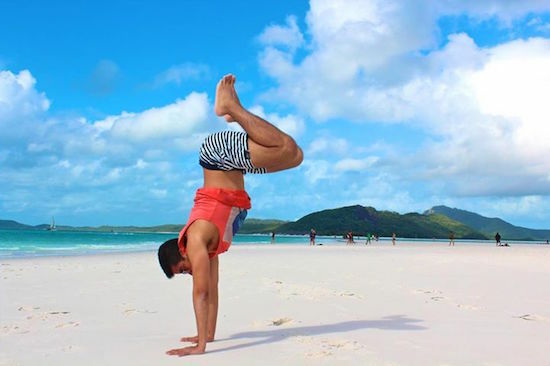 Noé Torres strikes a beautiful Hand Stand worthy of the amazing landscape.